So, when most people want to upgrade their furniture, they go to a nice furniture store and buy a good piece of quality furniture that they would be proud to show to their visitors. But what fun is that? Not me. I sell my Ikea furniture and then buy something that was probably thrown in the trash. Yes, that's right, I bought a new dresser. After a bit of a email scuffle with a craigslist advertiser who had a similar set to my nightstand,I found one that reminded me of it at Eastern Market today. Thing is, it's not as high quality as my nightstand. I am trying to keep my eyes on the prize because I'm sure it will look good once it's refinished. 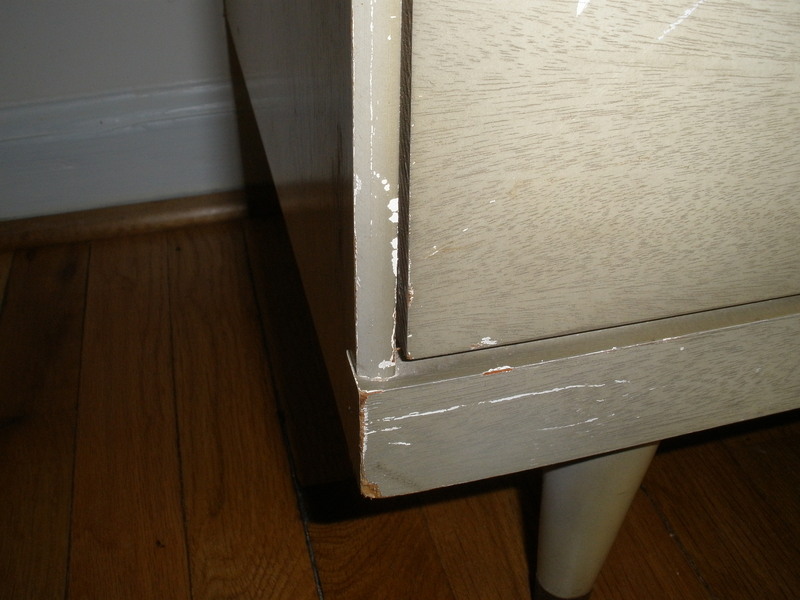 See, the thing is, this dresser needs serious refinishing in addition to some glueing. And, if you recall my last experience, I'm not stripping it myself. It set me back $40 plus $40 for delivery. Delivery consisted of 2 guys WALKING it (with the heavy mirror) back to my house. Pretty crazy. It was dirty, too. Want proof? 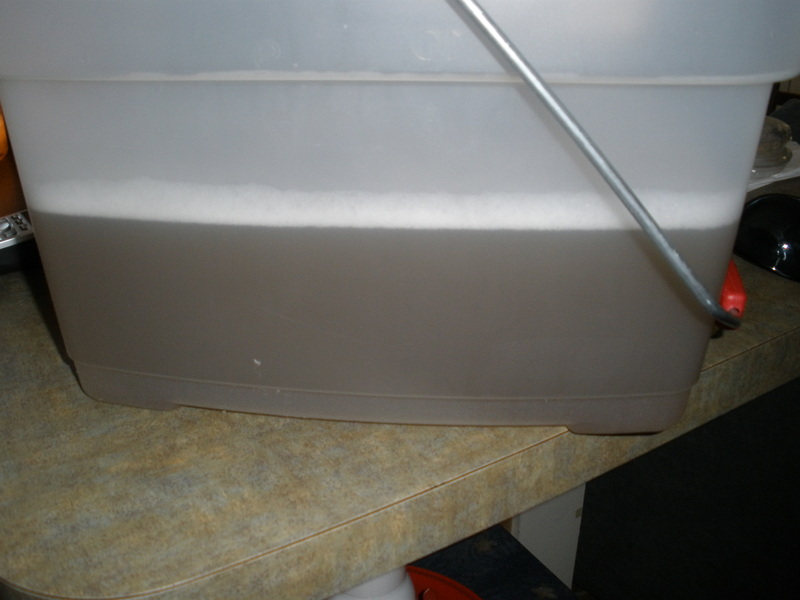 here's the water with the Murphy's Oil soap I used to clean it AFTER using a magic eraser. I may have to either spray paint the hardware or get new handles...though a test with some brass cleaner revealled some brass, so they may clean up. We'll see. My plan is to ask my landlord (who is a contractor) if he knows of someone to strip it for me. I don't need a master antiques refinisher. Just someone who can carry the thing and doesn't mind using the chemicals and sander. If all else fails, I may just ask my brother down for the weekend and do it myself after he helps me carry it downstairs!!! (See, I learned my lesson. Sander + bedroom = lots of trouble!) It has a mirror, but I'm going to see if I can Craigslist it. I'm not that crazy about it. I may get a mirror in one of those vintage frames and use that, to mix it up a bit. I admit, I've been feeling a little like this was a mistake...but I guess I can always put it on the almighty Craigslist if I hate it! yay- a project! I would love to see a picture of the mirror if you've got one. 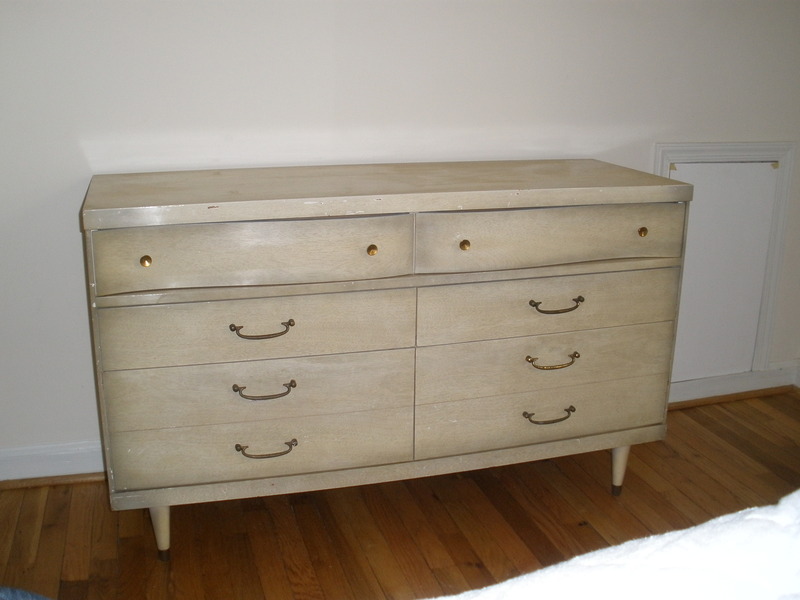 I am certain that this dresser will work out for you- love the lines and the legs. Keep us posted! Well, the dresser looks better than you described. Once you do you revamping, which you do well, it will look lovely until you are able to find one you are really in love with. It does have potential.